Due to work and family commitments, I couldn't make the first day of the festival. I was pretty gutted to miss out on 'An Evening Extravaganza of Printed Passion' (and other great looking talks and workshops from that day) but I can honestly say that every aspect of the design festival experience exceeded all expectation. Here are a few of my highlights from the awesome inaugural Birmingham Design Festival. I arrived in Birmingham Friday morning, literally just in time to catch Jane Bowyer's talk on 'The Power of Personal Projects' — one I definitely wanted to catch and something I very much believe in myself — but one that I personally haven't as yet managed to master. So it was great hear Jane talk about how the wonderful work she created as part of the self-initiated Women In Print poster exhibition project really took off and ultimately led to a working partnership with The National Trust. It was evident that the success of this was not only down to the quality work created but also the passion she so clearly poured into it. After checking in at the wonderfully modern Bloc Hotel I wondered on down to the Jubilee Centre for the next event, which featured a spot of foiling. The one and only workshop I booked my myself into over the three days and the one I most wanted to get involved in (besides the sold out Draplin workshop, obviously). It was great to learn a little bit about the history of Foilco and the foiling process, but even better to learn how easy it can be... creating fancy foiled designed using nothing more than a black Sharpie, a photo-copier, a laminator, some nice paper and the all-important foil. Armed with lots of stencils, cut-out shapes and ornate printed letters for inspiration the first part of the process was to create some artwork to foil. Having a very precise, grid-based style to my work I initially struggled with the lost art of creating something hand-drawn, but then I found the perfect middle ground... to hand-draw a grid to create my artwork with. Having just spoken to the wonderfully talented Amrit Singh, who was one of the contributing artists for the "Forward Thinking" exhibition and someone I've met once or twice before at Birmingham-based events, I thought I'd try and create something along the same theme. I adapted a client concept of mine from earlier this year that was never used to create the "Forward" graphic pictured above. As you can see this not only features the initial letter F for Forward but also creates the directional arrow within the negative space and the forward-facing chevron at the front. I wasn't asked to contribute to the exhibition (mainly because I'm not a local artist... maybe next year) but I'd like to think that if I was, this would form part of my response. The final step to this was the actually foiling of the design, and more excitingly, the big reveal as the foil is peeled away... which I managed to capture and looked pretty cool if you ask me. What do you think? An Adventure into Advertising & Bighearted Branding! 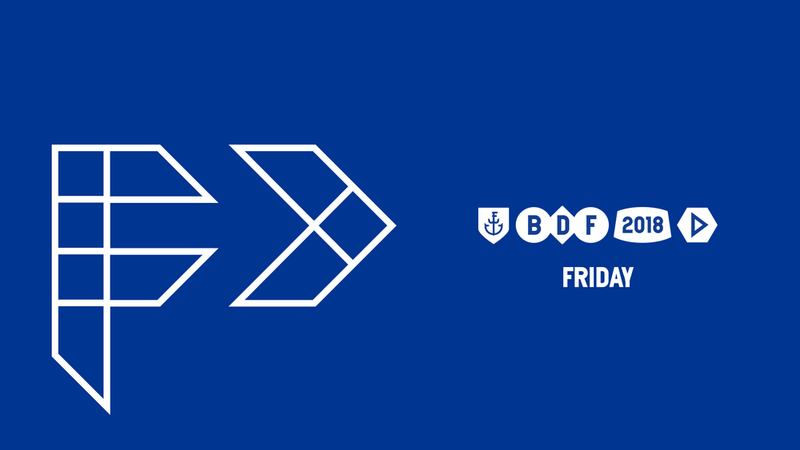 It was finally time for Fridays main event with four very different but equally well-known and respected designers ready to share their experience with the eager crowd. In a slight change to the scheduled line-up it was Marina Willer from Pentagram up to speak first. I actually had a little heads-up on this after I got chatting with a lovely young designer called Marta who turned out to be a member of her team, there to support Marina during her flying visit. As we grabbed a bite to eat before the event, Marta also revealed that Marina had developed a bit of a tendency to dance during her talks, which may have been quite fun to see. This time, however, the subject matter of her talk was a little more sombre — yet still very triumphant — as she proudly introduced her first feature-length documentary film, Red Trees (now on Netflix). Which traces the journey of her father's family, survivors of the Nazi occupation of Prague during World War II. She also shared a few more projects and lightened the mood with lots of fun random imagery and playful image making. Some of which was from a children's workshop where coloured blobs were produced on a page then the children had to create a picture/character from that shape. 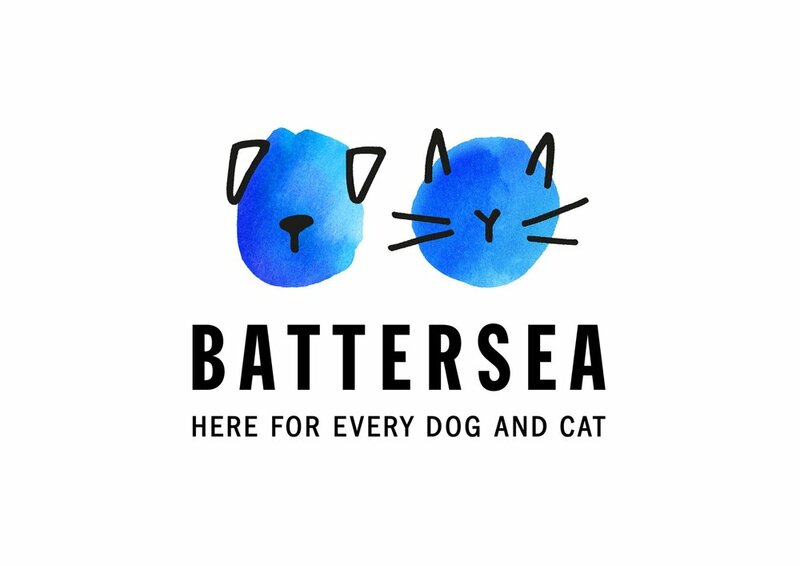 You could clearly see this directly influenced her recent rebrand for Battersea. It was great to see the origins of this wonderful idea and how it was born from play. Probably one of the most unique characters I've ever had the pleasure to witness on stage at an event such as this. As his talk began I thought to myself... "where the hell is this going?" — and initially I wasn't entirely convinced he knew either — but that was just his style and one of his talents it seems. He wove such a fantastic story based on his childhood quest to go into space, featuring plenty of famous cameos along the way, and ending with Buzz Aldrin regrading his school project. Delivering probably one the best and most entertaining humble brags you are ever likely to hear. Trevor Beattie and his childhood quest to go into space. Next up was Jack Renwick, who regaled us all with the tale of her convoluted journey into the design industry and a selection of some fantastic projects her studio had produced recently. This Included the incredible Carpenters Wharf branding, which I had not seen up until that evening. To hear the story and rationale behind the creative solution made an already wonderful concept so much stronger and more complete. The brand mark cleverly combines a ‘C’ and a fish symbol with the use of a dovetail joint, with the wood and timber cladding referenced thought the graphic language. The final speaker of the evening was a name I obviously knew, but what I didn't quite realise was just how prolific Jim Sutherland was! Weighing in with an impressive/daunting 322 slides, the whole room strapped themselves in for the duration as we all still seemed ready for more. And as they say... it was all killer no filler! The Agatha Christie stamps were a definite highlight for me. Not only the clever use of negative space within the design but also the attention to detail and creating the playful hidden elements using different inks, just waiting to be uncovered, fitting the theme so perfectly. The thought process and the ability to delve that little deeper into the very essence of the project is absolutely something to admire and for me it provided the inspiration I was there to find. This brought my first day at the festival to a close and not even getting lost on the way back to the hotel could take the shine off an eventful and inspirational experience. It's probably worth noting that I also "sampled" the very tasty Designer Brummie Beer created especially by the Birmingham Brewing Co. 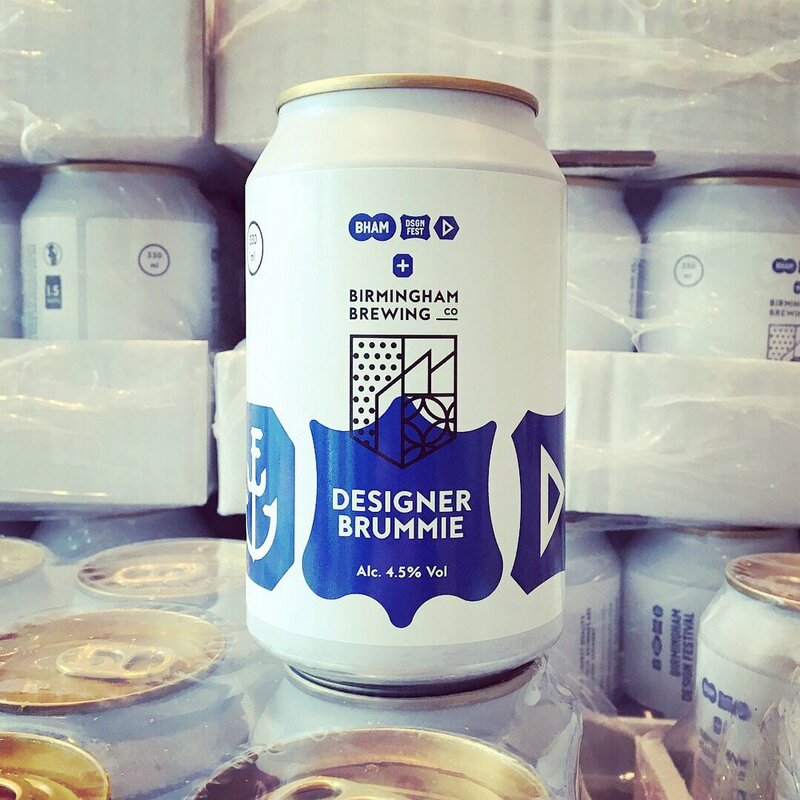 The Designer Brummie Beer created by Birmingham Brewing Co. I'm in no way suggesting that this had any correlation with me losing my way, just worth mentioning how good the cans looked, how good the beer tasted and how it absolutely added to the festival atmosphere we were all there to enjoy.